What shape is the sector in? Sales in the catering sector in Spain reached 36,763 million euros in 2018, up 2.1% on the figure for 2017. This growth was slightly below that recorded in 2017 (2.5%), but it does consolidate the upward trend in the sector given that it is the fourth consecutive year of growth in overall sales figures. The sector is closely linked to the country’s economy, and specifically to disposable income. In Spain, growth in GDP of more than 2.6% in 2018 (3% in 2017) and the creation of 566,000 new jobs have been the driving force behind the said growth. In absolute terms, growth in 2018 represented a growth in sales of 739 million euros. Despite the said growth, the situation in 2018 is still nowhere near the levels reached prior to the economic crisis. The market is facing an opportunity for recovery worth over 6,000 million, a very tasty dish to be shared out among those who are the first to sit down at the right table. The biggest boost to this market has come from organized catering, with growth in sales of 13% in 2018. The expectation is that thanks to its greater availability of resources, expansion plans will continue along normal lines. The main catering firms in Spain are increasingly open to the arrival of Private Equity as investors in their businesses, and 31% of managers consider them as being their first choice when it comes to funding their expansion activities. The successful transactions seen in 2018 have contributed to incentivising the interest of the owners of catering operators in testing the market in search of buy-out deals. This willingness to open their doors to Private Equity funds coincides with the appetite the said funds have for entering this sector. This trend began with the recovery in consumer spending following the crash and which is continuing, given that they consider that there is still some way to go in a favourable cycle. In January the Abac Capital fund acquired 100% of Beer&Food, the subsidiary of Heineken España dedicated to catering and responsible for the Gambrinus and Cruz Blanca beers. Following the acquisition, it continued with its investment plan by buying Dallas Rib’s from the Company, owner of the Tony Roma’s Spanish franchise. Later it acquired 100% of the American restaurant chain Tommy Mel’s. The Loius Vuitton venture-capital fund L Cattertton acquired the gourmet hamburger chain Goiko Grill half-way through last year. It acquired 80% of the brand in a transaction that valued the chain at around 150 million euros. Another possible purchaser in strong contention for the acquisition of Goiko Grill was AmRest. This company is one of the main market players, with sales of approximately 360 million euros. Recently it has directed its strategy towards increasing its presence in the home-delivery market. This explains why it has decided, on the one hand, to participate in the capital increase at Glovo, becoming one of the main shareholders in the recently-controversial home-delivery business, and on the other, to acquire the Sushi Shop chain for 240 million euros, with over 55% of sales going through home-delivery channels. Later it acquired Bacoa (one of the best-known premium hamburger chains in Barcelona) for 3.7 million, and the Telepizza business in Poland. AmRest is also the owner of La Tagliatella and it manages some KFC, Pizza Hut, Starbucks, and Burger King outlets in Europe. It has around 300 establishments in Spain, which is its second-largest market and which it expects to continue expanding, thanks to a number of transactions that may not have been concluded. The end of 2018 saw another of the major transactions of the year, when Vips Group was sold by its majority shareholders to the Mexican group Zena Alsea (which manages restaurants such as Fosters Hollywood, Domino’s Pizza, Burger King, or Lavaca in Spain) for no more and no less than 500 million euros. Alsea is the leading restaurant operator in Latin America, with over 3,500 restaurants in Mexico, Argentina, Chile, Colombia, Brazil, and Uruguay, and in 2014 it entered the Spanish market through the acquisition of Zena. The group, through its Food Service Project subsidiary, acquired 100% of Sigla S.A., the parent company of Vips Group. The then Vips shareholders (the Arango family and ProA Capital) reinvested 75 million in Food Service Project, becoming minority shareholders with a stake of around 8%. Aurica Capital, the private-capital fund manager of Banco Sabadell, acquired 30% of the Larrumba Group, which owns restaurants such as Marieta, Pipa & Co, Habanera, Perrachica, Pyt San, or Botania. Damm Group, through its subsidiary Rodilla, acquired 75% of Hamburguesa Nostra, a company specializing in the ‘Premium’ hamburgers segment, and which last year reported sales of approximately 16 million euros, with 21 operational restaurants. The El Paraguas-Amazónico Group, which owns 4 of the most fashionable restaurants in the Spanish capital, sold 40% of its capital to the Turkish businessman Ferit Sahenk, a partner of BBVA in Turkey, for 70 million euros. According to predictions by experts in the sector, the wave of transactions seen in 2018 will continue for the coming years. It is estimated that very many groups in this sector are weighing up their options, which may be made public in the next few months. During 2018, the fund manager HIG Europe put Compañía del Trópico up for sale (owner of brands such as Café & Té or Panaria, inter alia), although it will have to attempt this sale again in 2019 given the lack of offers matching the price being demanded by HIG. Rumours are also circulating about Tragaluz Group, which has a major presence in Barcelona, and which could be looking for partners to fund its expansion, in order to replicate its model across the whole country. At IMAP Albia Capital we have not been detached from the movements in the sector, having participated as consultants in numerous operations relating to the food & drink sector, such as with the company BIDFOOD GUZMÁN in the acquisition of 100% of the Basque company IGARTZA FOOD SERVICE. Through the acquisition of IGARTZA FOOD SERVICE, the South-African multinational Bidcorp (the majority shareholder in Bidfood Guzmán) has secured a strong leadership position in the Basque market for the distribution of fresh and frozen produce for the catering sector. 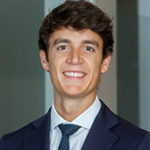 At an international level, in the past year IMAP has carried out over 30 transactions in the food & drink sector, from which we may highlight our services advising Permira in its acquisition of Piadineria Group, the leading company in ‘casual fast food’ in Italy with over 221 restaurants around the world, for 250 million euros. At IMAP Albia Capital we believe that there is good reason for optimism, and all the indications are that next year will see upheaval in the sector at the corporate level, given the interest of investment funds and the large groups. The challenge will be to match the interest of the buyers with the high expectations of the sellers.